In a perfect world, Clint Eastwood would still look like Philo Beddoe, Keith Moon would still be defenestrating televisions, and Freddie Mercury would still be overbiting into searing vocal gymnastics and producing unbounded musical masterpieces with his inimitable band. But our world is far from perfect; good things don’t last: Clyde is dead, The Who are two, and our heroes dwindle to nothing more than nostalgia cash cows. But like the Phoenix, which has assumed prominence on their new logo (originally part of the Queen crest, as backdrop to the animals representing the band members’ astrological signs), Queen – after over a decade languishing as dethroned royalty, with a website run by a fanclub pining daily for any scent of newsworthy meat – have risen anew in a formidably potent incarnation. 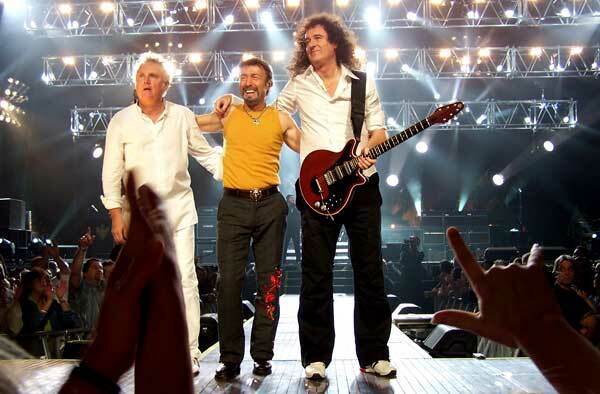 Filmed at Hallam FM Arena in Sheffield, in May 2005, as part of their European Tour, RETURN OF THE CHAMPIONS features Brian May and Roger Taylor (the bedrock of the band – whose first names have been spammed by Monty Python characters so often that it seems cheekily sacrilegious to refer to them as Brian and Roger) leading a revamped quasi-Queen to new horizons: veteran Queen keyboardist, Spike Edney; rhythm guitarist, Jamie Moses (Mike & The Mechanics, Brian May Band, Bob Geldof); bassist, Danny Miranda (Blue Oyster Cult, We Will Rock You musical – sadly, John Deacon opted out of re-investing his time in the band); and the vocal engine that makes this outing possible – in what must have been a political coup of grandiloquent bargaining and cross-pollination – Paul Rodgers (Bad Company, Free, The Firm). The question on everyone’s frontal lobe: Is it any good? 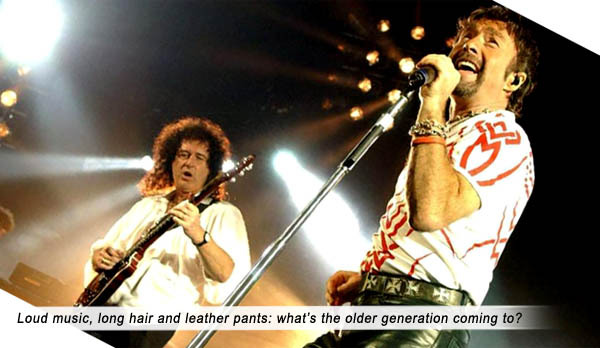 Queen – and the Bad Company they keep. For those who would doubt that Brian and Roger would take this iconic institution on the road with anything less than sterling magnificence, a karate-chop to the Spock nerve should be deservedly applied. This is not some uppity, smart-mouth cover band, shoe-staring and angst-adrench – this is the world-girdling juggernaut itself; these are not pretenders to the throne – this IS Queen. Freddie purists (myself included) would approach this production with the darkest trepidation – one false move would occlude the Innuendo, one misstep, debase The Miracle; one heartbeat, steal away A Kind Of Magic. 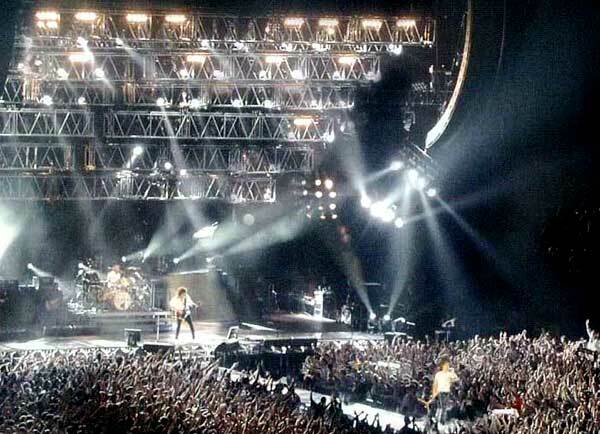 But, through Queen’s intrinsic arrogance – a required faculty much like Pete Townshend’s admitted sinful terming of his coterie of disparate musicians “The Who” – and through the sheer, ground-shaking talent of these individuals – it works! Marrying Rodgers’ leather-panted street-cred to Queen’s ostentatious pomp-bombast, with a lightshow that resembles nothing so much as the Close Encounters Mothership or the detonation of twelve nuclear warheads, the archly-titled entity Queen + Paul Rodgers delivers a show as vital as it is nostalgic, as musically pure as it is tastefully augmented, as slick as it is raw-edged. As fully Queen – without fully Queen. The pity is that Queen, much like other acts with catalogues large enough to choke a tyrannosaur, must channel their live outpourings to the few “hits” that the groundling multitudes’ purchasing power has necessitated. 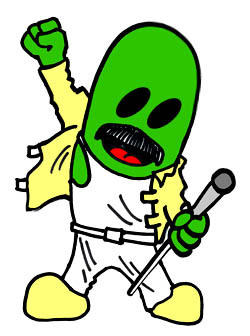 In their own way, every bit as grandiose as Bohemian Rhapsody, we will never hear performed live Brighton Rock (from Sheer Heart Attack), or The Prophet Song (Night At The Opera), The Millionaire Waltz, (Day At The Races), or White Queen (Queen II). Instead, we are served up the usual Queen fare – Tie Your Mother Down, I Want To Break Free, Radio Ga Ga, We Are The Champions, etc., plus a few of Paul Rodgers’ greatest hits, thrown in as obvious contractual filler (unfortunately, all those bar-band staples that each of us has played innumerable times and are therefore inured to – Can’t Get Enough Of Your Love, Feel Like Makin’ Love, et al – which Danny Miranda and Jamie Moses were no doubt performing a few short months ago in whatever bar-band they were making time in, before that fateful call from Queen Management). Not that I am complaining. It is an unadulterated joy to once more witness May and Taylor on an electric stage where they so rightfully belong. And with six onstage vocalists (every band member), the lustrous signature Queen harmonies, missing from so much of their live work, breathe with a renewed exuberance. Where Mr. Rodgers’ power-chested vocal delivery failed to blitzkrieg were The Game songs, Another One Bites The Dust and Crazy Little Thing Called Love, Freddie channeling Elvis so furiously during that period that he climbed all over those songs in a manner no one could emulate. The acoustic interlude is somewhat tedious, as Roger Taylor, who jokes he has taken center stage to “bring everyone down” – actually does, with an original song about AIDS. Queen’s cause célèbre after Freddie’s death. May brightens the proceedings with solo renditions of ’39 and Love Of My Life – until the chest-beating Hammer To Fall brings back the regal thunder. May’s guitar instrumental, Last Horizon (from his 1993 solo album, Back To The Light) is a swoonful exaltation, a “god-moment” for this genius in scintillating Red Special. Would you like a little Mothership to go with your Queen? Arthur C. Clarke wrote, “Any sufficiently advanced technology is indistinguishable from magic.” Queen’s signature tune, Bohemian Rhapsody, artfully and tastefully utilizes technical wizardry to allow Freddie Mercury himself to perform with his living band; in what must have been a technician’s nightmare, a live performance of Freddie’s piano and vocal tracks is isolated, the visuals from that performance playing onscreen, whilst the band follows along live. Only when we reach the hard rock segment does Rodgers take the stage. Then the coda is once again technologically treated, as Freddie’s vocal lines are alternated with Rodgers’. It’s a kind of magic. Clyde may be dead, The Who may be two, but as startling as it sounds, Freddie Mercury is still producing unbounded musical masterpieces with his inimitable band. Some good things do last. 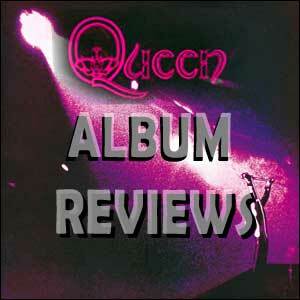 aka: QUEEN PLUS PAUL RODGERS, QUEEN AND PAUL RODGERS. Starring: Brian May, Roger Taylor, Paul Rodgers, Spike Edney, Danny Miranda, Jamie Moses.